This is a guest post by Matthew Yeoman. A business that is getting serious about its social media marketing presence can’t operate like an average user. You need to go beyond the standard app and start using tools that will help you monitor your brand on a local, national, and global scale. Being able to gather greater information, and sort through conversations from across the social web is going to help you better understand what you do well, and what needs to be worked. 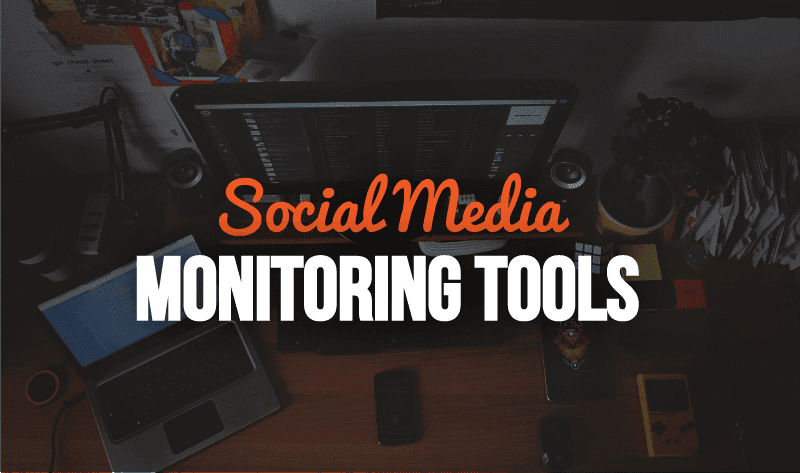 Since the social web is made of so many different platforms you may need to choose more than one of the social media monitoring tools listed below. Keep the above points in mind and your social media marketing efforts will be much more focused, and have demonstrable ROI no matter which tool below you use. A tool trusted by some of the biggest companies in the world (Nike, Volkswagen, McDonalds, Starbucks, adidas) with powerful global listening coverage, analytics that allow you to dig deep into your audience data, and key data analytics tools. Focuses on image heavy social platforms (Instagram being the main focus) and works to help you best use the user generated content out there. The tool’s ability to curate images from social websites across the social web for you to use to push social proof and sales is remarkable. A ‘do it all’ tool that will help you track tweets, blog stats, website stats, and a variety of social networks. It all comes together to give you general reports on your social media, and online, marketing efforts. This Oracle platform will help you capture a wide variety of conversation every day. You’re then free to join in and interact, or record for future marketing efforts. This just may be the most multi-purpose of all the tools listed. You can track nearly every social platform, plus WordPress blog activity. Conversation, hashtag, and keyword searches are organized in columns for real-time marketing at its best. Their click analytics can prove invaluable to properly planning your next move by knowing which links are getting clicks. The basic premise of the tool is that it helps you listen in on social conversations. The specifics of it is that they use their Forsight Platform, Brightview Algorithm, and Affinities Analysis to properly interpret and collate these conversations. Yes, this is an advanced level tool for those with high data needs. You can search for trending keywords, hashtags, links, photos, and videos. The world's first social media content analysis company (founded 1984) knows a thing or two about the online conversation business. This is an elite level service that combines computer driven data gathering with highly specialized human data analysts. This is not a ‘do it yourself’ solution as much of the data gathering is done by their team. They send this information to you via a dashboard you’re able to access at any time for social media planning. A social media monitoring and conversation tracking and analytics software for businesses. This tool helps brands communicate with customers on social channels, collaborate across teams and measure the effectiveness of their efforts. World beating social media monitoring from one of the leading online PR firms in the world. Their globe spanning company, with branches in many major markets, can help you gain keen insight into your social relevance. The free tool from Meltwater that lets you search the web, blogs, Twitter, and Facebook for brand mentions, or for any keyword you choose. You can use it to track brand sentiment across every online forum, or you can use it to find interesting new content and the people who are sharing it. A useful tool meant specifically for real-time social media marketing. It functions via an app on your Android smartphone or iPhone by sending you alerts when your brand is mentioned. This can be great for a solo-entrepreneur who wants to get in on conversations as they happen. A tool designed to help you manage customer conversations across all social channels. It can also help you with email marketing, B2B marketing automation, and digital advertising. This is Pinterest’s own, and recently updated, free analytics tool. Their new dashboard is highly visual, offering you insights at a glance. Work down further into the data using their tools and see your understanding of this exciting platform grow. Twitter’s own scheduling and monitoring tool. You can schedule tweets in advanced, monitor keywords and hashtags, and divide your data into separate streams. It won’t help you with anything but Twitter; it is best for those with a dedicated Twitter manager who only wants to focus on the tweeting at hand. - What types of content resonates most with my audience? - What social networks should I focus on distributing my content? - What headlines are working and on which networks? - Which influencers are sharing and amplifying content related to my topic? - What other content are these influencers sharing? Gathering these insights in 1 place can be difficult. Thankfully, a very cool tool called BuzzSumo can help. BuzzSumo is basically the “Google of social search”. It lets you enter any topic (or domain like digitalinformationworld.com), and it’ll show you the most shared articles for that keyword across all the major social networks for any time period. Another tool similar to Tweetdeck and Hootsuite, but with a handy browser add-on that makes sharing, and scheduling, exciting content easier. It can also auto-schedule your tweets for the best time in the day. All you have to do is keep your queue full of content you think will resonate well with your audience. Need content help? Here’s a guide to popular content ideas that you can almost always share. This tool has an interesting focus on determining the emotions, or sentiment, behind your social mentions. Tracking this alongside purchase decisions makes it a unique chance to watch social conversations and sales side-by-side. Combines your Twitter, Facebook, Instagram and YouTube accounts and shows you real-time conversations about your business. Their email and text alerts for shifts in sentiment can truly help those without a big PR team behind them. Another one-stop platform for managing more than one social channel. It’s great for those who need to get organized, and give differing priorities to conversations happening online. For those who are visual learners, here's an infographic from RazorSocial that will serve as your reference guide to understanding which tool is suitable for you. And choose the right tool from the list above. By harnessing the right social media monitoring tools, you can start working towards your maximum potential for your social marketing efforts. You will have the knowledge to tailor your next campaigns properly after listening to what others have to say about you, your business and your content. Matthew is the social media writer for the Devumi Social Marketing blog. You can find him there every single Friday with cutting edge ideas for your online audience, or you can check out the Devumi Gorilla on Twitter for updates all day.